The W60B is a single base station, designed for use with W56H's. 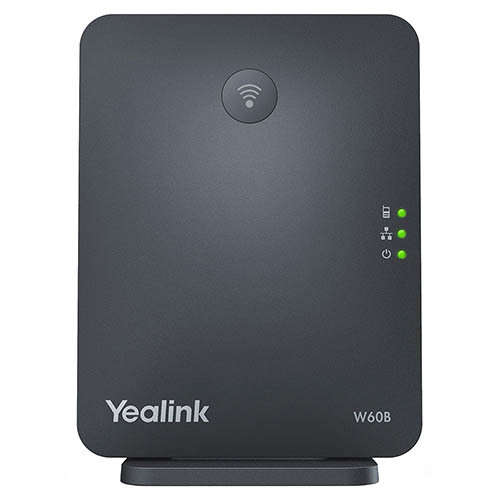 The Yealink W60B is the base only version of the popular W60P and does not include any handsets. This allows for greater deployment flexibility, and the ability to add base stations where needed, without having spare handsets.